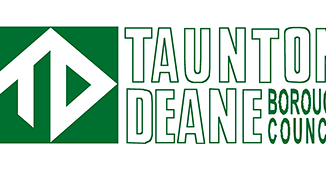 Taunton Deane Borough Council is poised to add its support to a scheme to transform an empty eyesore into a multi-purpose venue with a host of economic and social benefits. 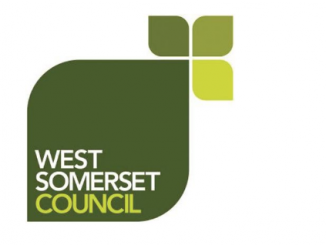 Somerset Coast YMCA plans to turn the vacant Great Western Hotel at Taunton railway station into a buzzing boutique hotel, a base for new, start-up businesses, café/restaurant, conference and networking space – all linked to creating training and skills for young people. The YMCA has a track record in social enterprises – The Beach Hotel in Minehead and Barley Wood House in Wrington, near Bristol – creating live training for people while delivering a financially sound business. The Borough Council is planning to support the Great Western Hotel project by providing a £675,000 secured capital loan that will be repaid over 25 years. Other funding towards the enterprise has been secured by the YMCA, including £500,000 from the Hinkley Point C Community Impact Mitigation (CIM) fund, £135,000 from the Heritage Lottery Fund and £106,000 from the Rail Heritage Trust. Creation of a premises hosting a training and skills partnership delivering 10 new jobs, 12 apprenticeships, 10 traineeships and many volunteering opportunities. The hotel will be transformed from a currently vacant office space to a modern hotel attracting new customers to Taunton and its surrounds, and specifically supporting the business community. Café/restaurant, conference space which can accommodate 125 and broader meeting and collaboration space. This element will be based in the ground floor being branded as “The Exchange”. Business hub, co-working spaces and Incubator units situated in the basement and ground floor areas. These spaces will be let flexibly and allow for short term and long term arrangements. The space will offer superfast broadband, a hosted reception and a series of weekly events for those using the spaces and be branded as “the Platform”. Cllr Mark Edwards, Deputy Leader of the council with responsibility for business development, said: “The Great Western Hotel is in a key position at the entrance to Taunton railway station – a real gateway into our county town. “Once redeveloped, the new station entrance will open out opposite the building. The Great Western Hotel will therefore be a highly visible presence for those coming to Taunton. The redevelopment of this building is closely linked to our wider Taunton regeneration plans while providing hands-on training opportunities. “It’s a brilliant way of providing a space where businesses can set up, collaborate and thrive. That’s exactly what the business community has told us is needed in Taunton. The proposal for the loan will be considered by the council’s corporate scrutiny committee on April 26. Members’ views will then be fed into the decision-making process.